NOTES: Lampreys were pilots of the Moray Hydrofoils. I think it odd that their code name is Lampreys instead of Lamprey. I believe this figure is a Lamprey, not a Lampreys. 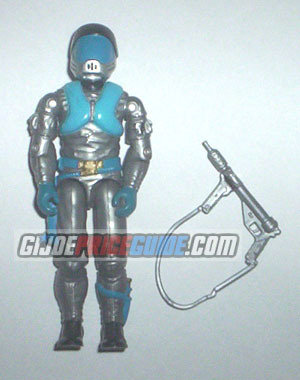 But anyway, don't forget that this figure did come with a gun and that the gun sometimes has a damaged strap.